Announce a surprise trip to Disney on National Kiss day with this fun Disney Kiss bag topper. 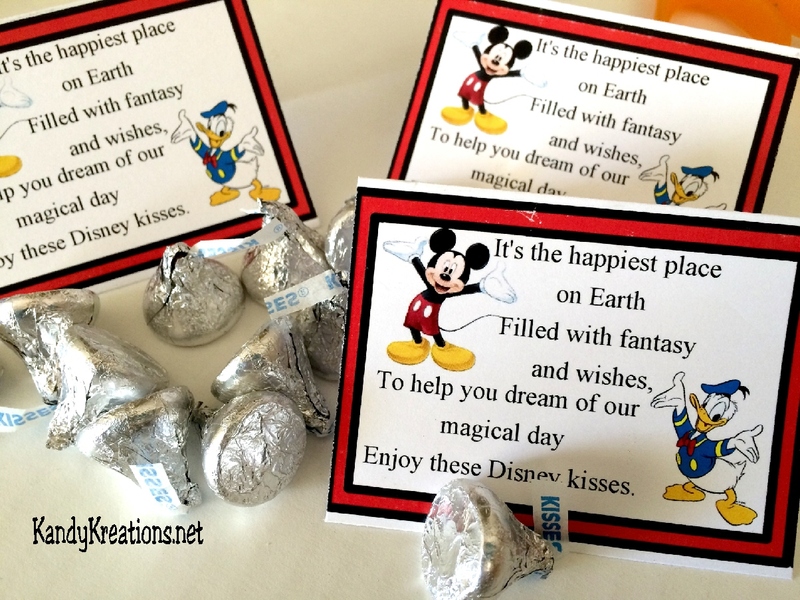 With a unique poem, this printable will bring magical Disney Wishes and Kisses into your home. Now here's a fun way to announce a Disney Trip to your Kids using those character kisses. Add the kisses to a 3x4 inch bag, you can find them on Amazon here or at any craft store. Right click on the bag topper printable at the bottom of the page and save it to your computer. 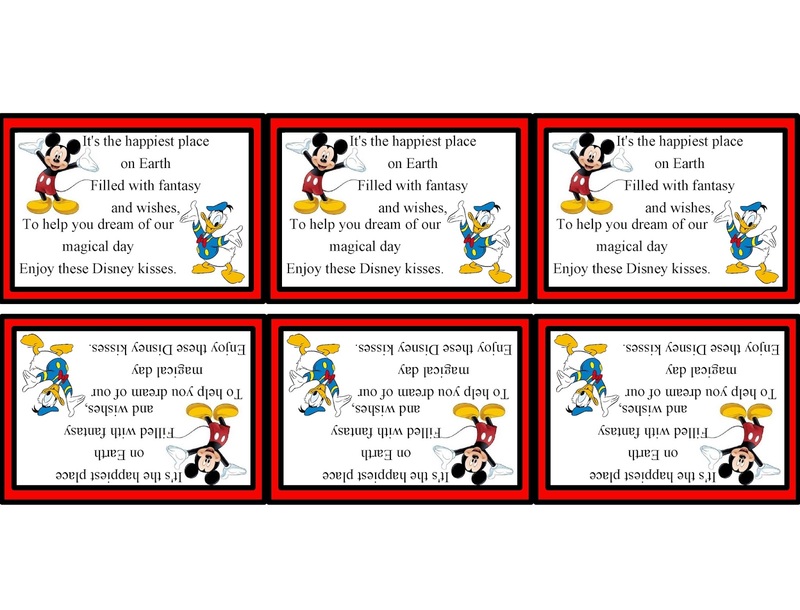 Print it onto card stock and cut the toppers out. 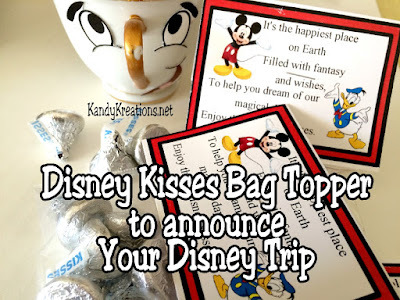 Fold the topper in half and staple on to the top of your bag of kisses. Now surprise your kids with these candy kisses and watch there excitement grow. 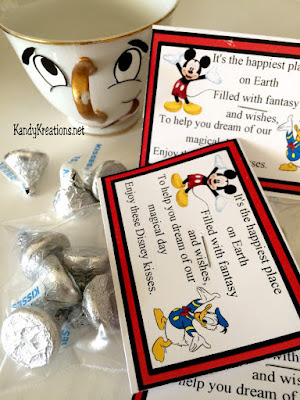 How would you announce a Disney Trip? Are you going to do anything fun for Kiss day?